A three step home care solution to age proof skin with advanced cosmeceutical actives layered in precious omega serums and active botanical concentrates. Begin with a skin refining lactic cleanse to redefine texture, tone, radiance and hydration. 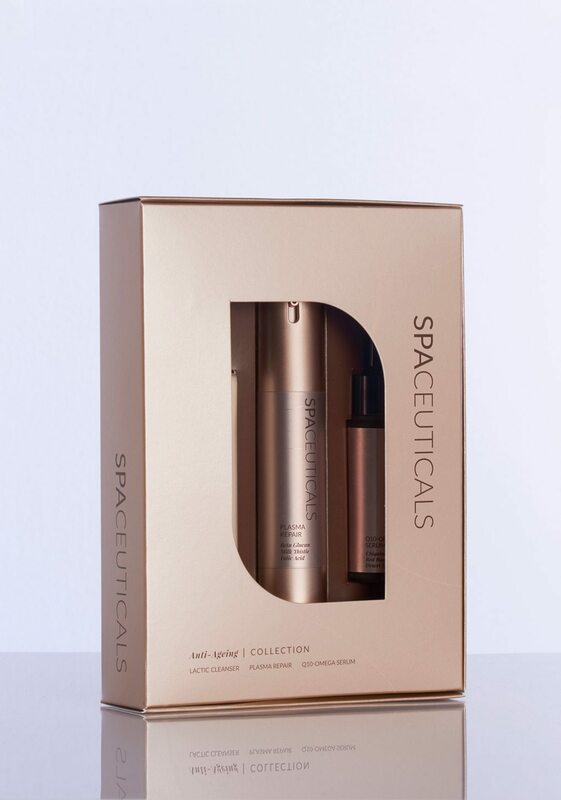 Follow with an intense skin perfecting serum to reverse sun damage, smooth fine lines and instantly boost luminosity. Finish with a rich skin treatment fortified with collagen enhancing resveratrol, anti-ageing vitamins, repairing beta glucan and folic acid and replenishing apple, honey and rice protein.